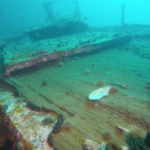 Newfoundland also had lots of wreck diving to offer. 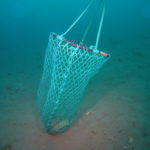 I was lucky to make two dives on the PLM-27. 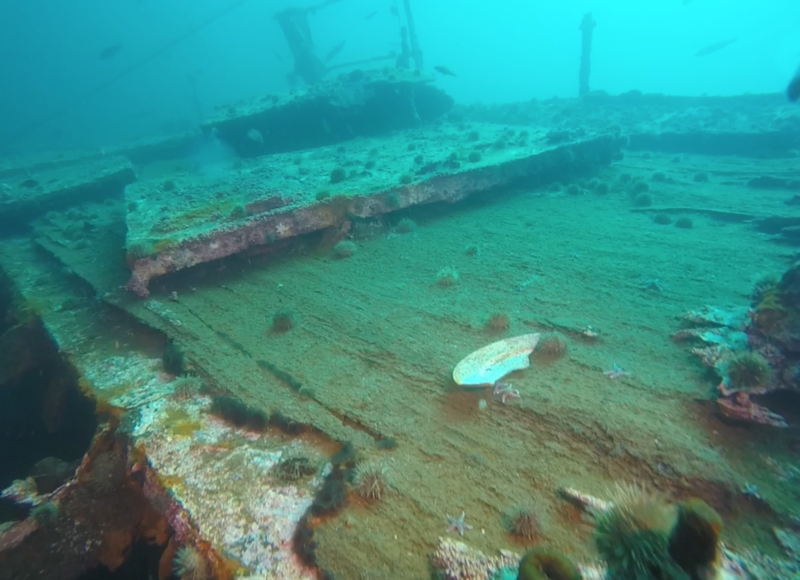 Located off the coast of Bell Island, this ship was sunk in World War II and is one of four wrecks with a similar story. 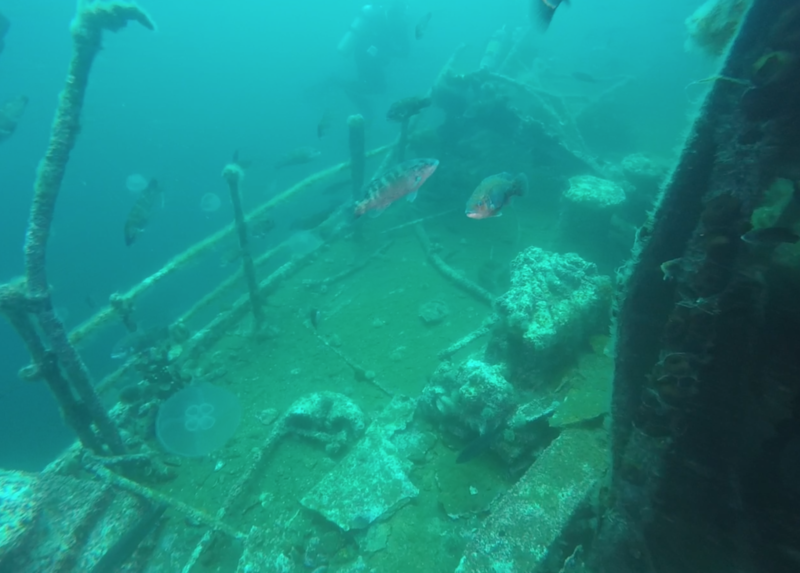 I loved exploring this wreck – the largest I had ever been on at the time. 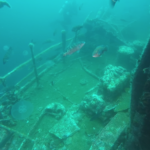 There were lots of fish to see and the ship had many different areas to explore. 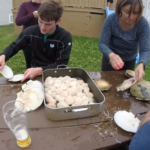 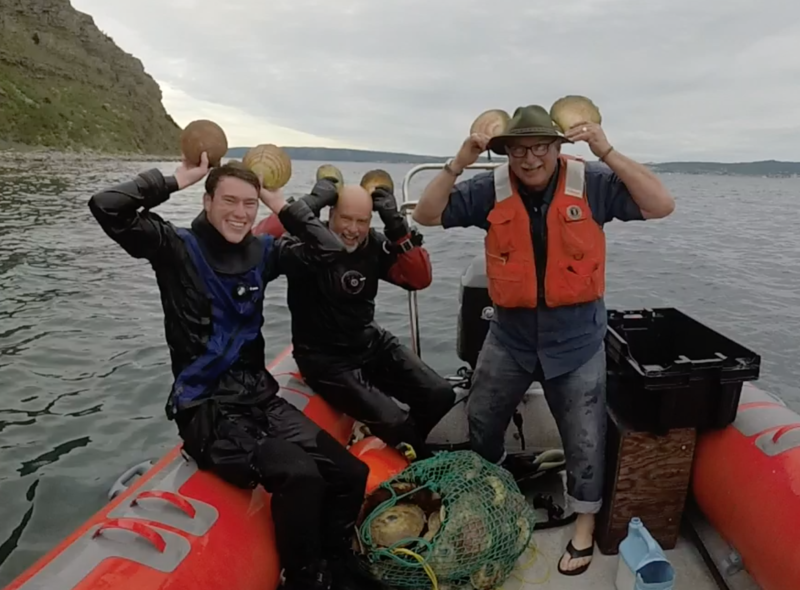 Perhaps the most memorable portion of my time in Newfoundland was the scallop dive I went on with Rick and Mark. 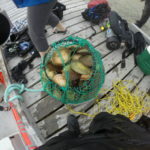 In preparation for a seafood dinner we would be having with Rick’s family later that evening, Mark and I collected over 75 scallops, filling our bag quite quickly. 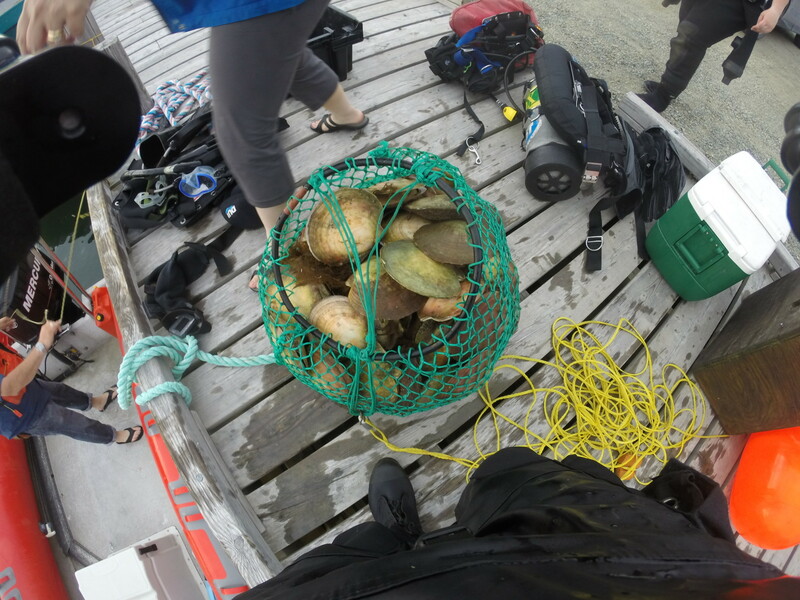 This was my first time diving for scallops, and for this reason Rick prepared me one raw on the boat as a post dive snack. 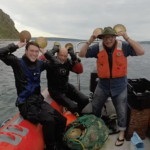 Talk about fresh seafood! 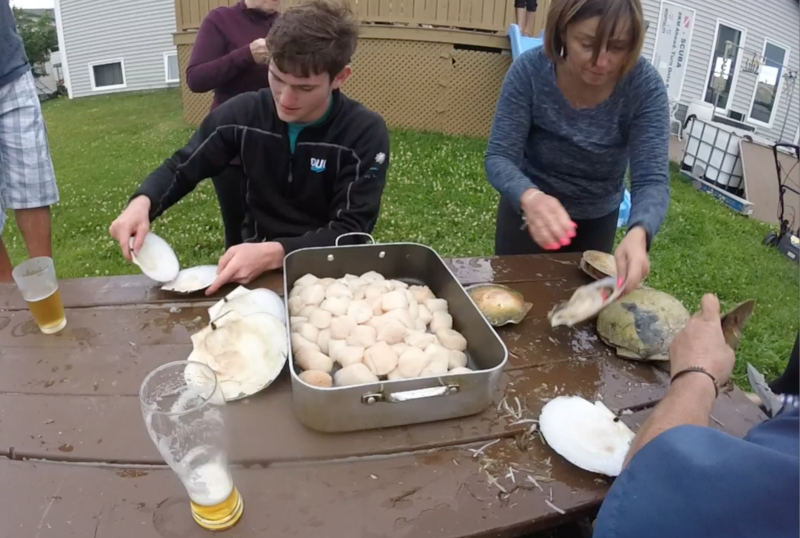 Later that evening Rick showed me how to clean scallops and fillet cod. 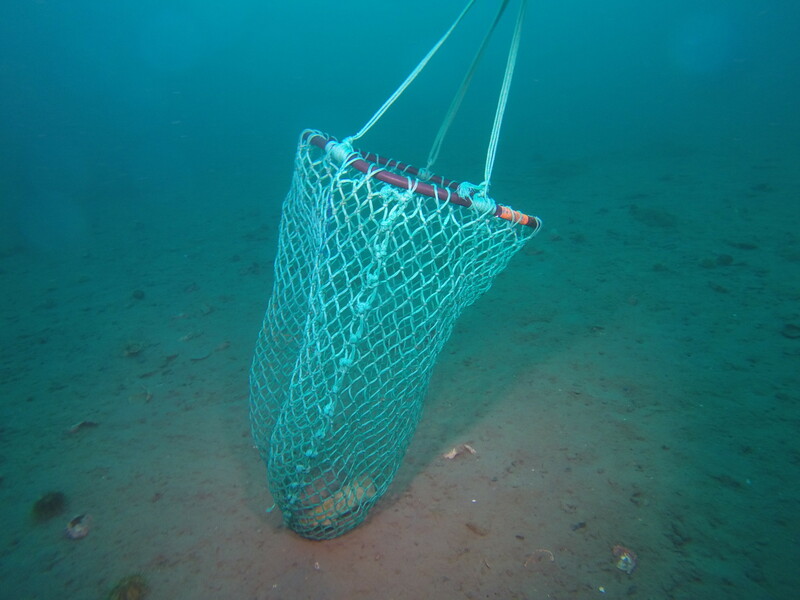 I hope to start diving for seafood near my home.